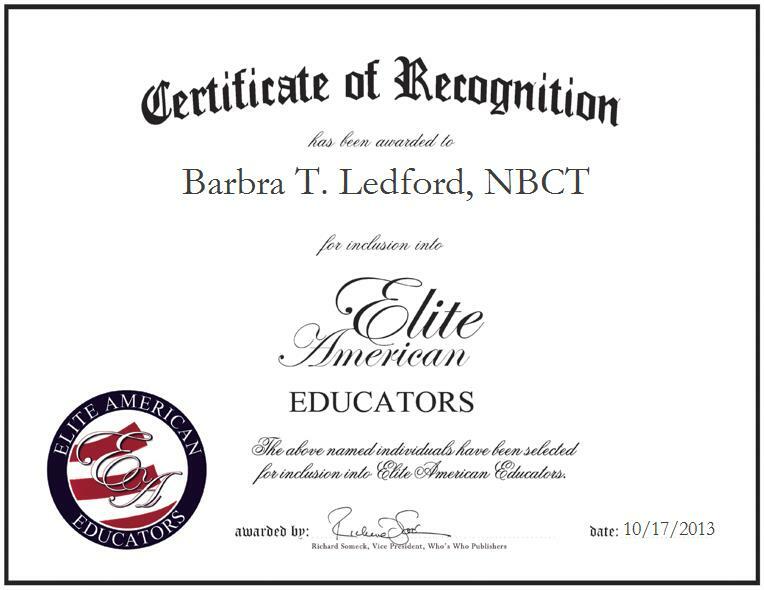 Barbra Ledford is an elementary school teacher at Harlan Elementary School in Kentucky. Ms. Ledford entered the industry 24 years ago due to her desire to create opportunities and a better future for children. As an elementary school teacher, Ms. Ledford is responsible for teaching reading, writing, math, science and social studies. She also teaches science lab K-4 and gifted and talented leadership and general intellect K-6. Ms. Ledford gets great satisfaction out of watching her students become magnificent, incredible adults and leaders. For her exceptional work, she was a three-time finalist for the Kentucky Teacher of the Year award and was voted Harlan County People’s Choice Best Teacher. A national board certified middle childhood generalist, Ms. Ledford attributes her success in the academic field to her passion for teaching children and her desire to help teachers to influence children in a positive way.